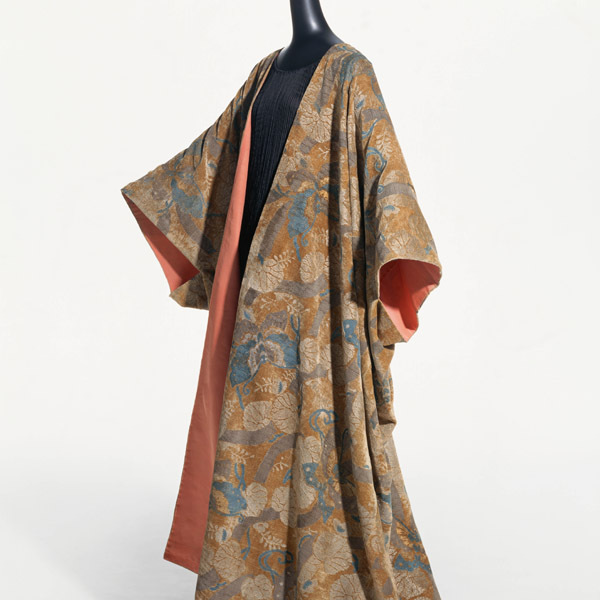 Brocade of silk and rayon with woven peacock tail feather pattern, lined with orange silk taffeta. 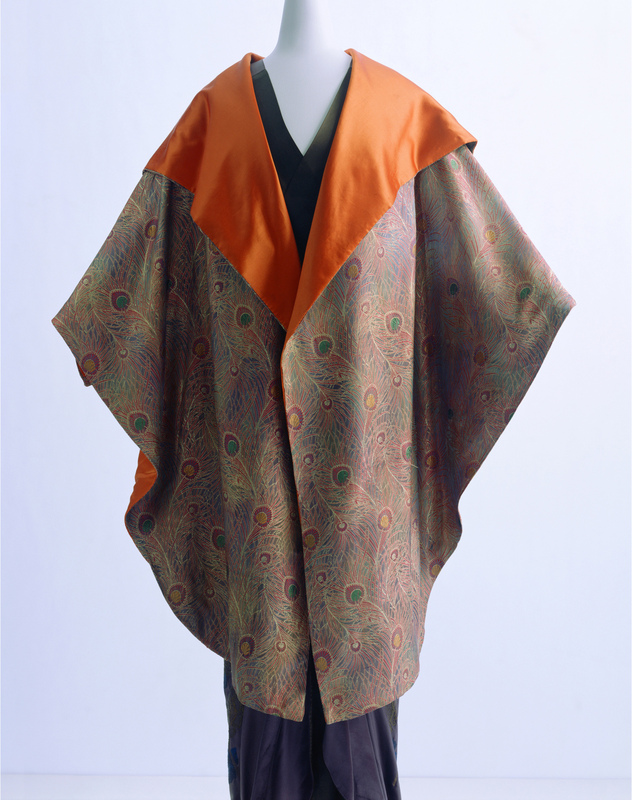 Evening wrap with a flat design. 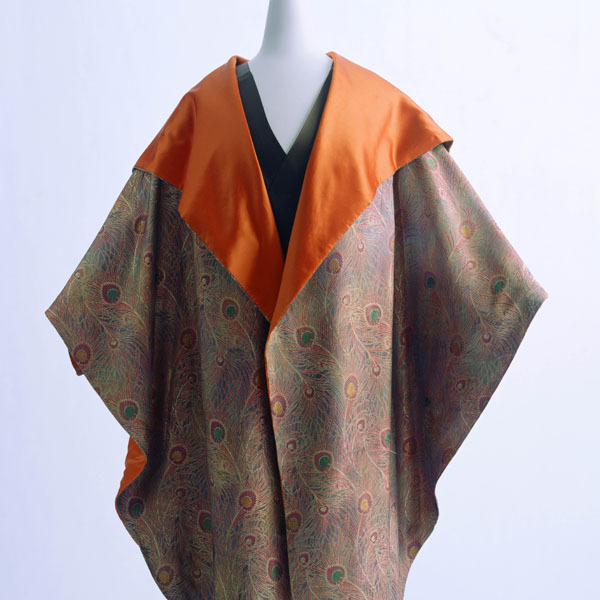 Brocade with peacock feather pattern woven in multiple colors, with elegant curves rhythmically conveying the movement of the tail feathers as they sway from side to side. 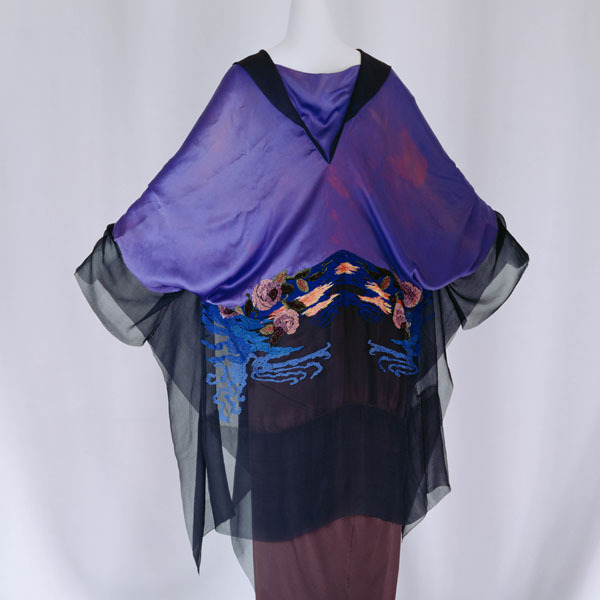 Folding back the neck reveals the orange lining, enabling a delightful color contrast with the wisteria purple of the outer material. 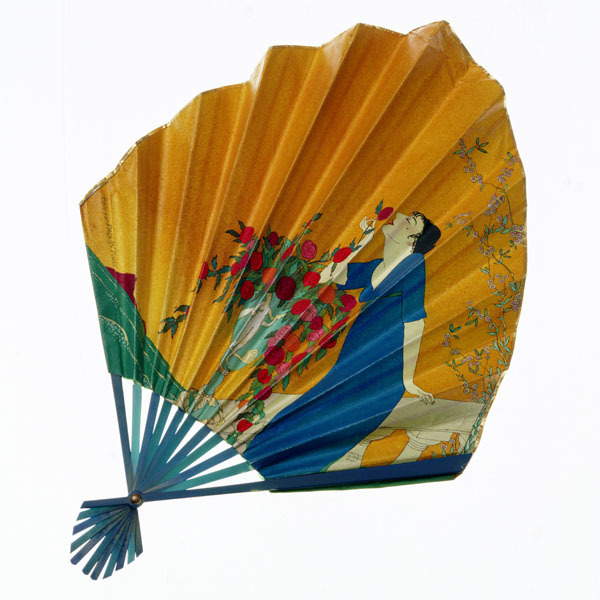 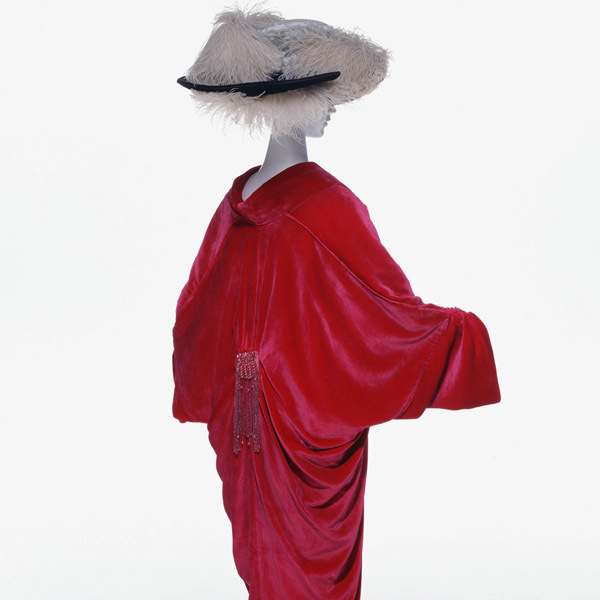 The peacock was one of the principal motifs favored by Aesthetic Movement artists in the late 19th century. 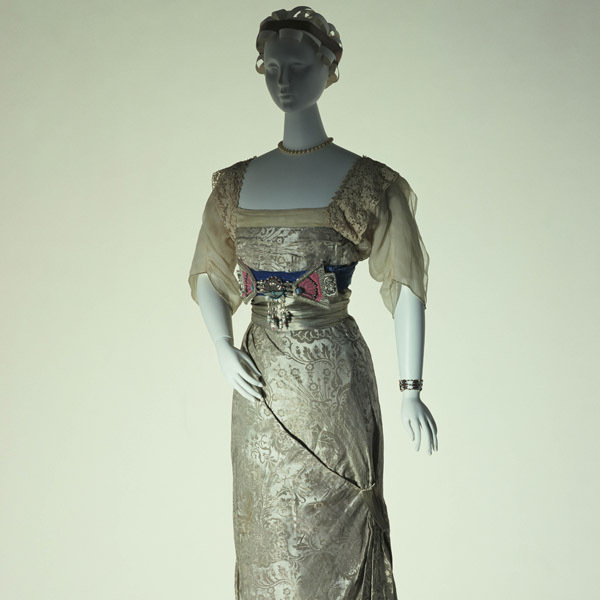 For example, American painter James McNeill Whistler’s “Harmony in Blue and Gold: the Peacock Room” (1876-1877) was created to decorate a dining room in the home of British shipping magnate Frederick Richards Leyland. 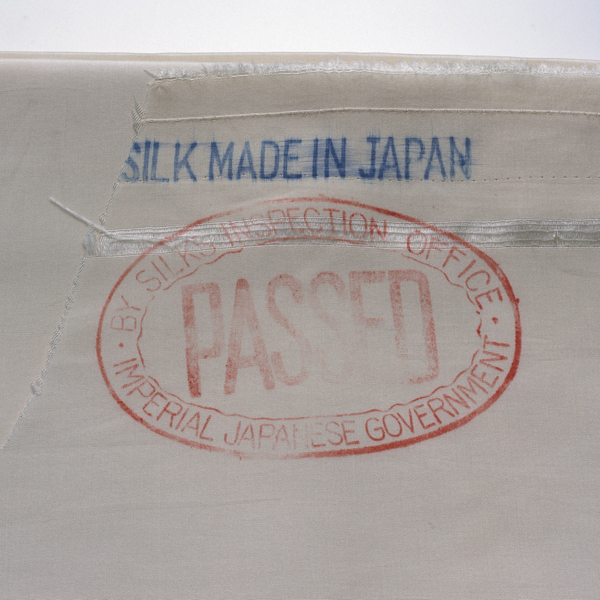 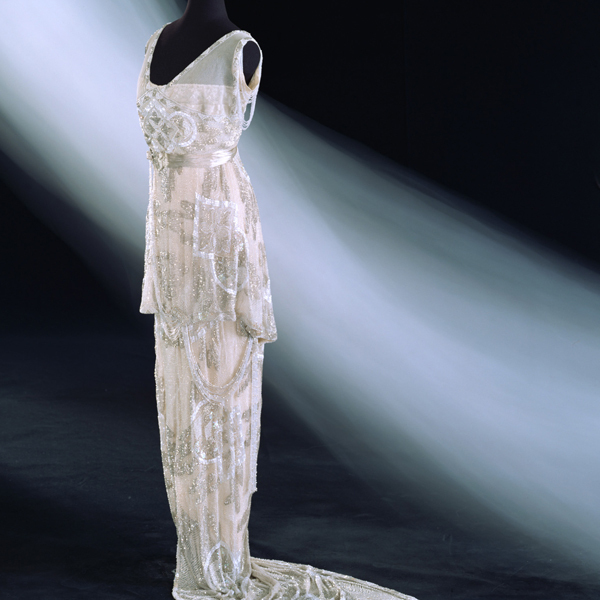 In 1877, Liberty & Co. launched “Hera,” a furnishing fabric with a peacock feather print produced by British designer Arthur Silver. 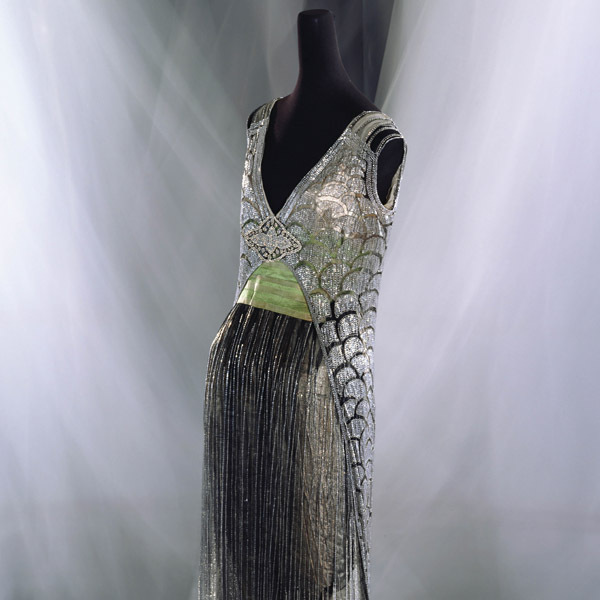 Silver was one of many designers commissioned by Liberty. 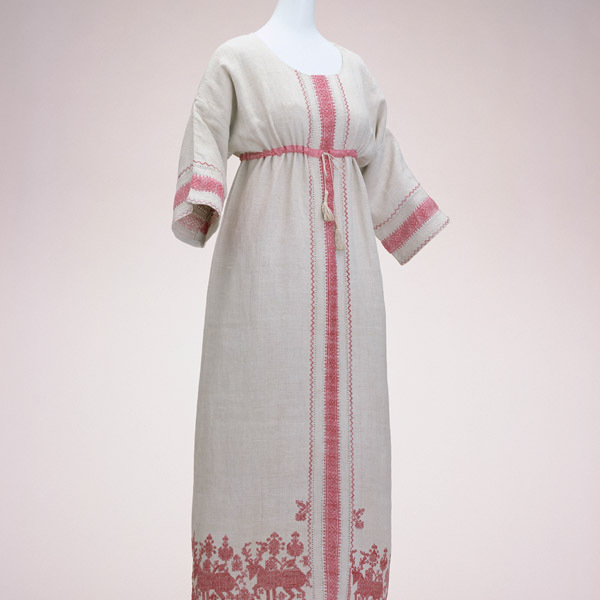 With different colors and materials, the “Hera” pattern was also used for clothing. 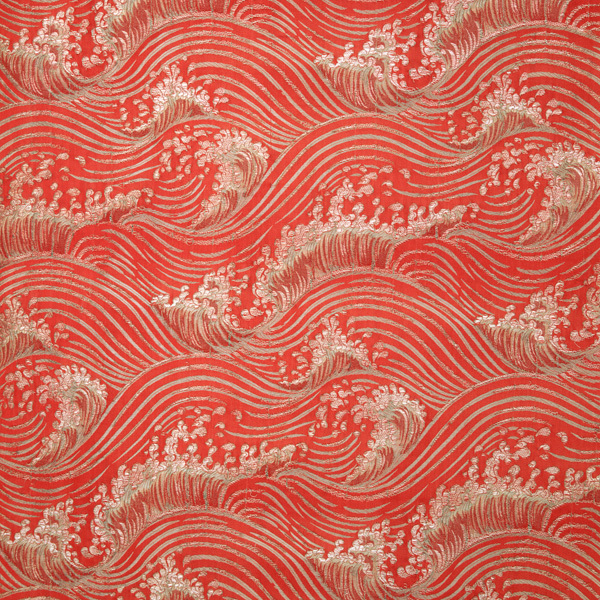 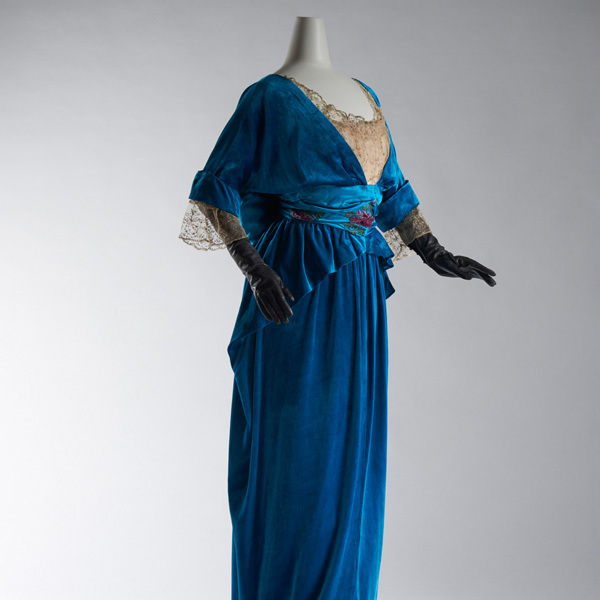 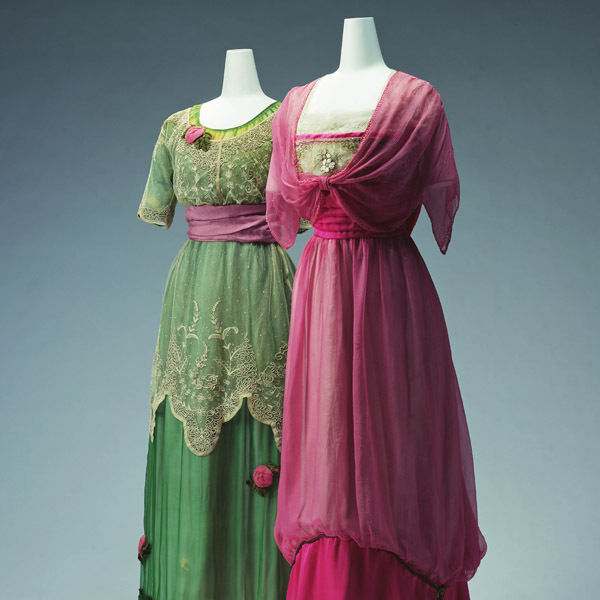 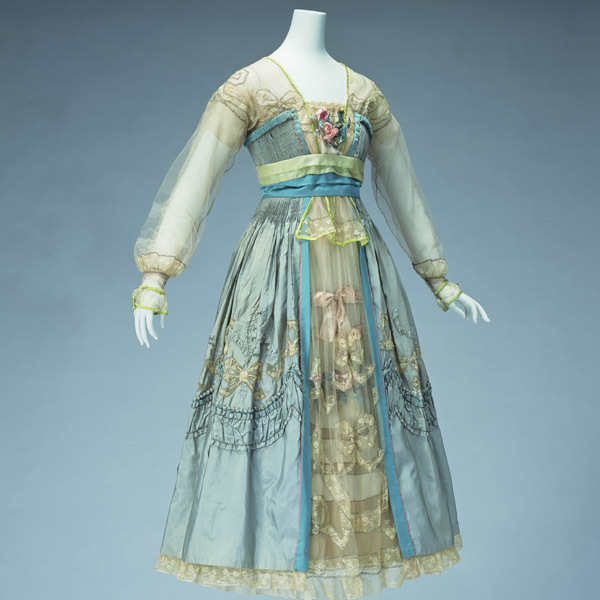 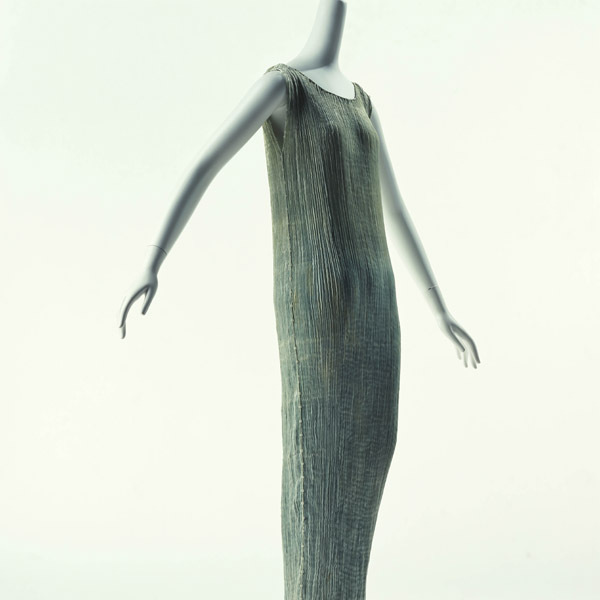 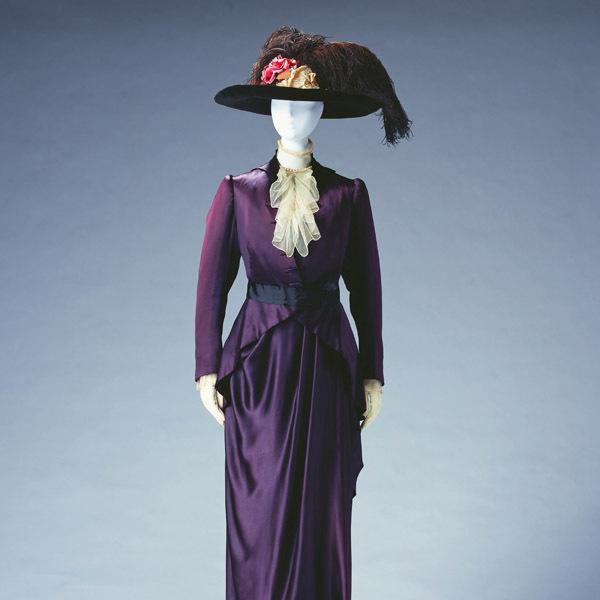 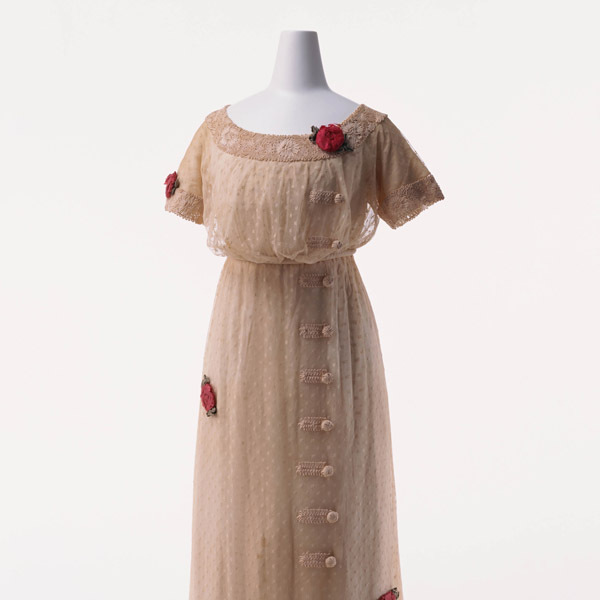 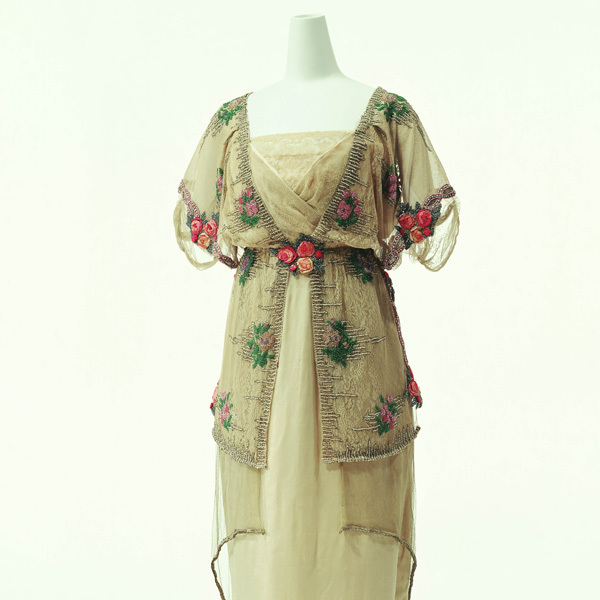 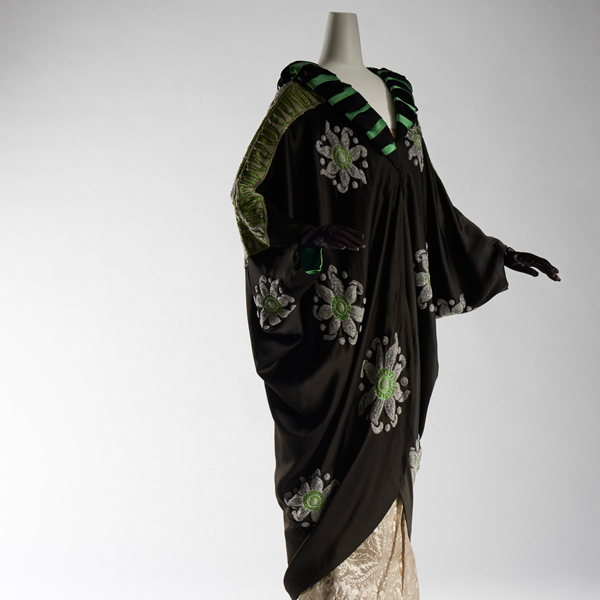 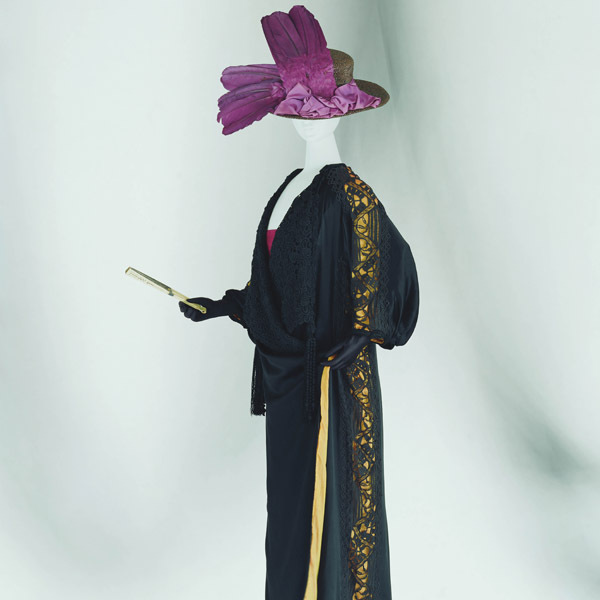 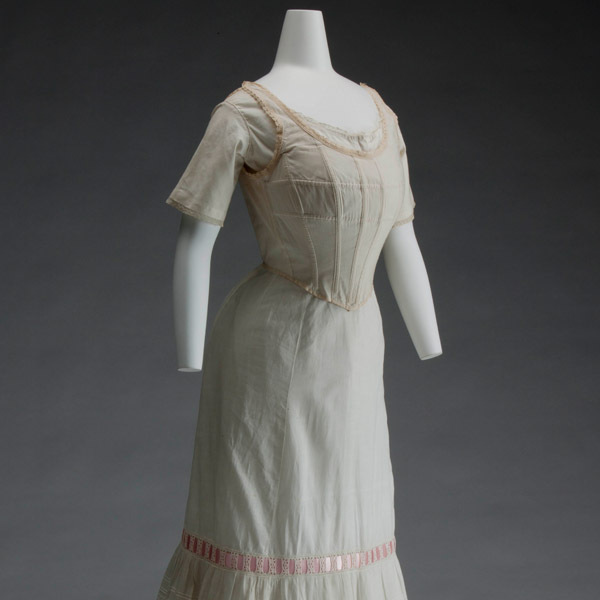 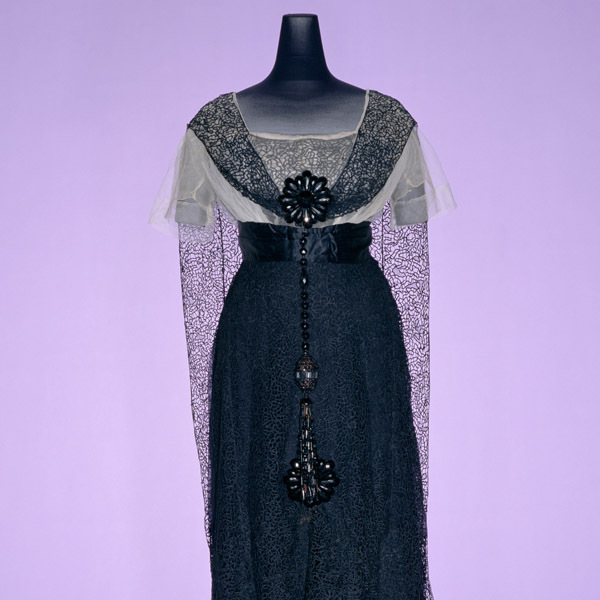 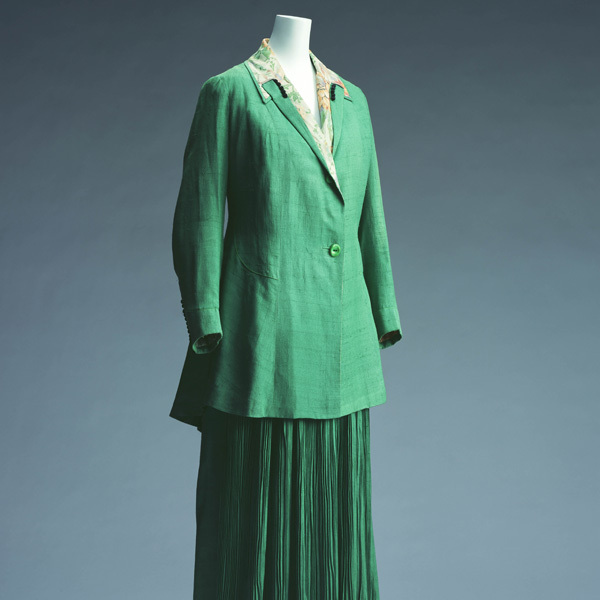 This example of an evening wrap does not use “Hera” fabric, but the Metropolitan Museum of Art collection includes a “Hera” wrap (1910-1915), which bears some similarity in being tailored to take advantage of the contrasting color of the lining. 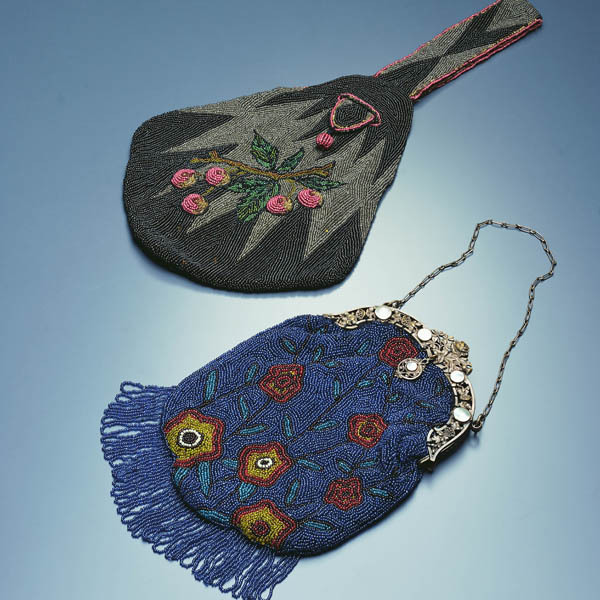 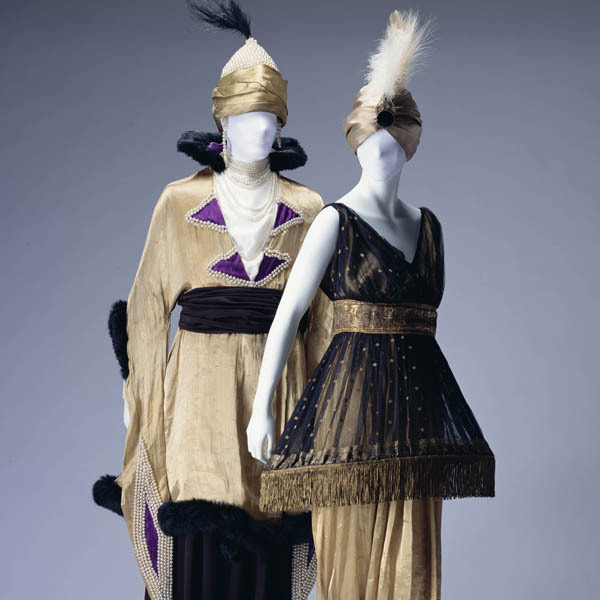 Liberty’s 1923 catalogue includes a velvet brocaded georgette tunic having a design like this one with the peacock tail feathers swaying from side to side.